Edmodo: A Social Network That Could Help Reform Our Schools #makereducation « Adafruit Industries – Makers, hackers, artists, designers and engineers! 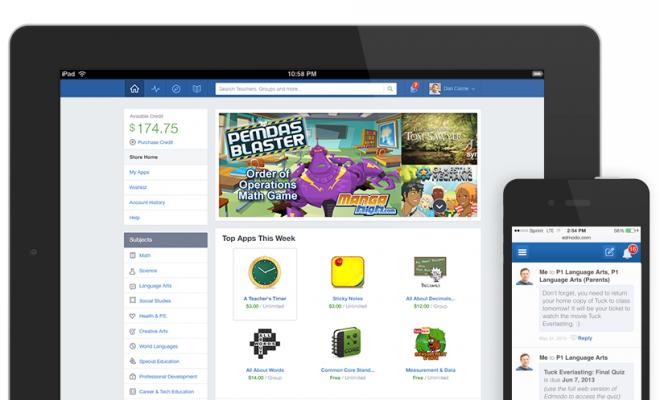 Edmodo is a social network specifically designed for primary and secondary schools, offering a way for teachers to more easily assess students and trade tips. At a time when many teachers feel hamstrung by standardized tests and associated performance standards, Edmodo helps them exchange techniques in a peer-to-peer, ad hoc fashion. It also provides a relatively unfettered playground where they create and share educational videos and software that can compete with the Facebook posts, texts, YouTube videos, and others things that distract students from their work.